Hostas, in the Germans-speaking world often called Funkie, are longlived, hardy perennials which do mostly prefer a semishaded or shaded position in the garden. Most of them are unchallenging and robust. 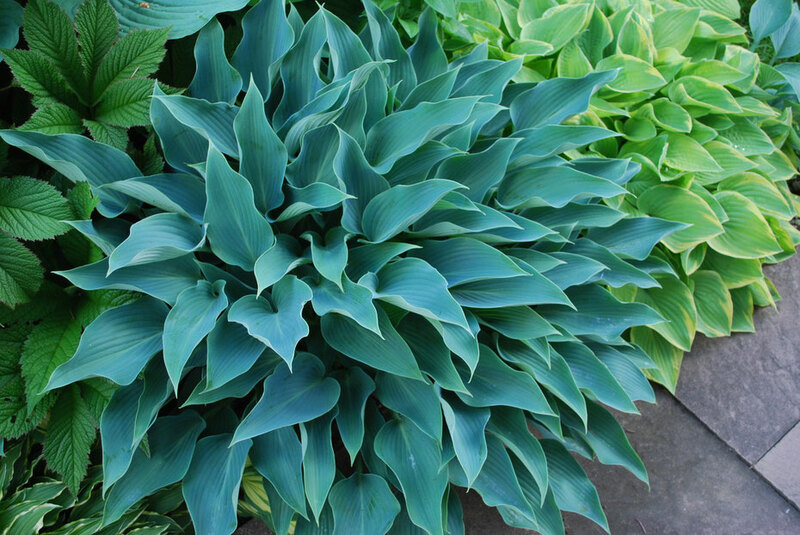 Hostas do not impress that much with their flowers but most of all with their leaves. Because of the most different shapes, colours and sizes of their leaves they are ideal to enhance shaded or semishaded places in the garden. Yet there are also quite a few Hybrids with very attractive flowers, some even scented. The main flower colours are violett shades but also near white and even pure white. There are about 40 to 45 species native to Japan, China and Korea. Besides these there are mainly Hybrids common to gardens. Meanwhile there is a vast amount of Hybrids available in the trade and even more are existent: between 7.000 and 10.000 Hybrids and every year many new ones are added.